The Cowichan Performing Arts Centre is a 731-seat proscenium arch theatre located in the Island Savings Centre as a conference and convention facility. 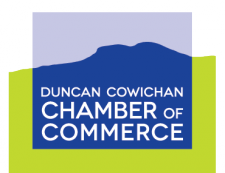 The Cowichan Valley Regional District owns and operates the Cowichan Performing Arts Centre in the Island Savings Centre with funding coming from throughout the Cowichan Region from the Malahat to Ladysmith. The Cowichan Performing Arts Centre is a section of the Arts & Culture Division in the CVRD Recreation & Culture Department.